This listing is for the yoke only. Belt set and contents for illustration only. UK PLCE Issue type 6 point webbing yoke in UK Temperate DPM . 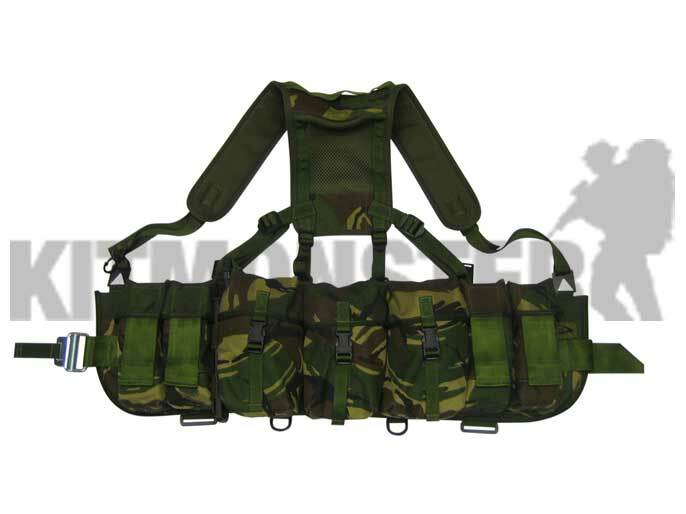 Classic battle proven 6 design with lightly padded shoulders. Vanguard's Pegasus Airborne Webbing set and contents for illustration only, these are not included. Single yoke supplied.